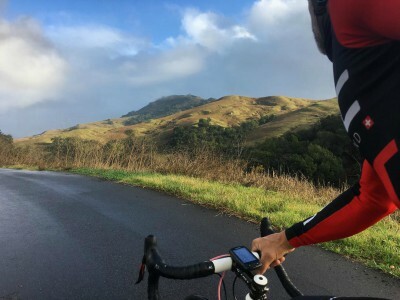 Spring is the perfect time to try out a new biking trail – we certainly don’t have any shortage of scenic trails in San Luis Obispo County, and the weather is perfect to spring into a new exercise routine with family or friends. 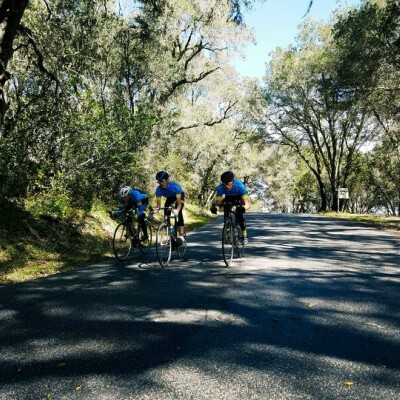 Especially with the Amgen Tour racing through San Luis Obispo county this week, let these athletes inspire you to add a new trail to your repertoire and explore our natural environment. The professional cycling tour takes place in phases, with different legs of the trip from northern to southern California. 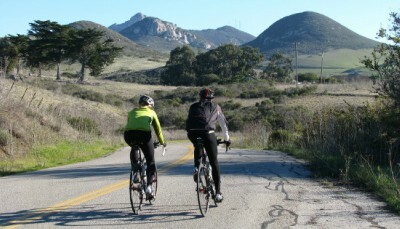 Cyclists will arrive at Morro Bay for the Morro Bay – Pismo Beach leg on Tuesday! Here are some of our favorite San Luis Obispo trails to try out this spring. Start off in Cambria, a small coastal town with plenty of shops and specialty stores. Start on Main street, and then turn onto Santa Rosa Creek Road. You can follow this trail for many miles, but a good stopping point is Jackson Point, after about 17 miles, after which you can turn around and head back towards Cambria. This is a lush and peaceful trail, with relatively small incline, but still some uphill stretches. You’ll enjoy great views and scenic, country roads as you make your way closer towards Templeton and Paso Robles wine country. Start in Morro Bay; about 20 minutes north of San Luis Obispo along the coast. Enter Highway 1 and head north towards Cambria. This ride is relatively flat and allows for beautiful Pacific Ocean views for miles. You can stop in Cambria and turn around the same way you came, which will make the total mileage about 50 miles. More advanced rides can continue up Highway 1 until the Elephant Seal Rookery in San Simeon, which is about ten miles further. A great ride that you can accommodate for different biking levels, with fantastic views – and perfect for enjoying springtime sun. This Peachy Canyon trail is perfect for spring, because the weather is still cool enough that you will avoid hot Paso Robles summer weather that makes it harder to do strenuous activities like biking. Start in downtown Paso Robles at city park. Ride west towards 12 to Olive, and take a left on Olive. Take a right on Pacific after about 1/2 a mile. Continue to head west, and Pacific will become Peachy Canyon. Continue for about 11 miles through vineyards and beautiful scenery, before turning right on Vineyard. This brings you to Adelaida Road, so turn right and continue 8 miles. This is perhaps the most beautiful and easiest part of the ride – you have made it so far! You can stop and take pictures of the view or try out a winery. Then you’ll turn right onto Paso Robles Road, which becomes 24th street as you come into town, a perfect road trip through rustic wine country.